A ceilidh from Triple Scotch will mean a fantastic party at your wedding reception, and is a great way to meet the rest of the family. For those who have not been to a ceilidh before, or who ‘don’t dance’ the caller can explain every detail at a pace where everyone can join in. Lancashire ceilidh band Triple Scotch can take care of your first dance as well, either playing the recording through our PA system, or playing live if you’d prefer to dance to a traditional Scottish tune. 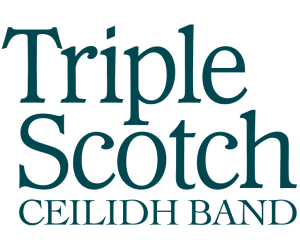 To give you total peace of mind about the musical arrangements for your wedding, Triple Scotch can provide all the music you need throughout the day. As a violin and piano duo, we can perform any music of your choice – be it classical, jazz, folk or pop. This can be for the arrival of the bride and signing of the register, any hymns, and background music during the drinks reception or wedding breakfast – followed of course by the all-important ceilidh in the evening!